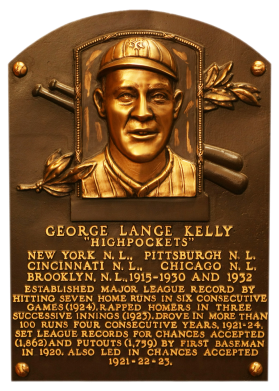 After failing in his first three seasons in the bigs, Kelly came into his own for the Giants in 1919. From 1921 to 1926, Kelly hit over .300 and averaged 108 RBI, helping the Giants capture four pennants. He was a .297 hitter and totaled 1,020 RBI. Comments: In October, 2002 I started with a tribute card - a 1980 TCMA Galasso, which I subsequently had graded GEM MT by PSA in January of the following year. In November, 2004 I picked up an issue contemporary to his career, a raw example of the W575 card advertised in the auction as VG-EX. Upon receipt I discovered an ink stamp on the reverse. In November, 2005 I upgraded and won an eBay auction for a SGC 50 example. 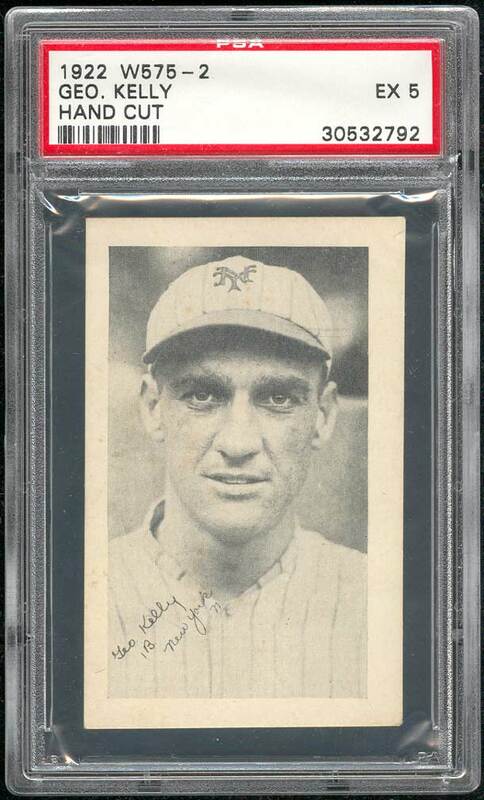 I was able to upgrade to this PSA 5 in January, 2006 off eBay from seller and hobby friend, Brian Hodes. 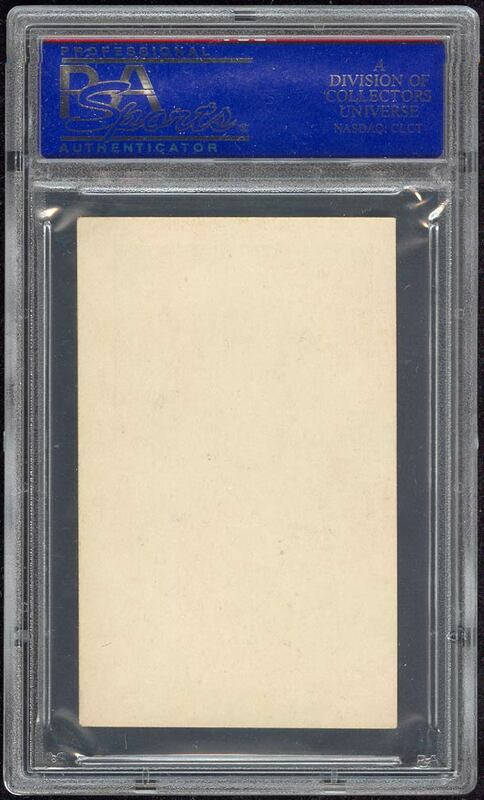 I've been looking for a higher graded example ever since and have had no luck finding one. 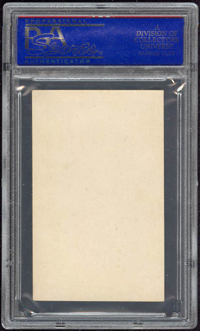 Description: The blank-back, black and white cards in this set measure 2-1/8" X 3-3/8". Because of the design of the cards the set is sometimes called the "autograph on shoulder" series. 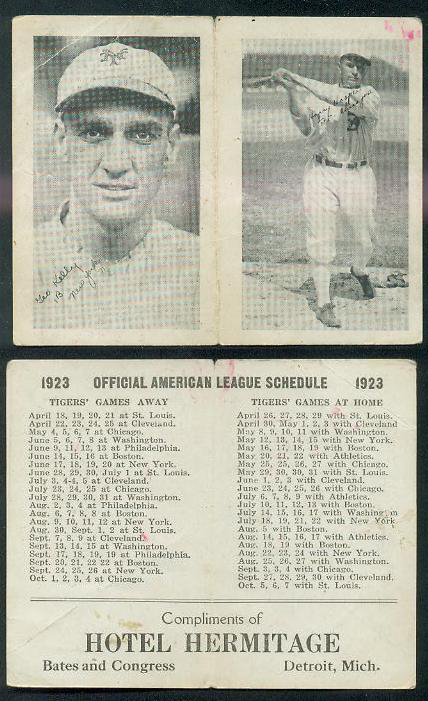 Some cards have the player's position and team added to the name inscription. Tough to find strip card issued by Kromo Gravure Photo Co., Detroit, Mich.